After obtaining the university degree in engineering and economics from the Swiss university (Dipl. Ing. ETH), Eidgenössische Technische Hochschule in Zurich, Martin Schoeller started in 1980 as a plant manager in Brazil. In 1982 together with his brother Christoph Schoeller he entered the Schoeller International (engineering office) as sales manager. Schoeller International was a small family business specialized in plastic beverage crates. They took over the responsibility in 1984. Since then the brothers have expanded the Schoeller Group to an international industries and services group in four continents with a commitment to industrial sustainability, employing >4000 people (today). After selling licences and developing new products the relaunch of the industrial activity in Germany followed and later on in many European countries (Schoeller Industries). In a second phase (after 1992) a complimentary service business was started that ensures the collection and reconditioning of returnable containers from all over Europe and the United States (IFCO). 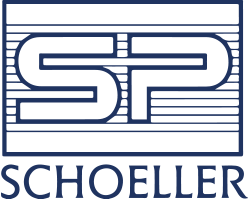 In a third phase (after 1999) Schoeller Industries acquired several competitors and became world market leader for returnable packaging. In 2011 IFCO with about 4000 employees has been sold and Schoeller Industries started to diversify into real estate, plastic machinery, innovative start-up companies, fashion jewellery and patent management. Martin and Christoph Schoeller as co-chairmen of the group still today work closely together sharing their responsibilities by companies and functions. Martin Schoeller’s focus is still on the industrial side of the business and finance. Among others Martin Schoeller is managing director of the Schoeller Group GmbH, member of the supervisory board of Schoeller Allibert, Schoeller Industries and Barkawi & Partners as well as Board member of the Drinktec-Messe, Munich. 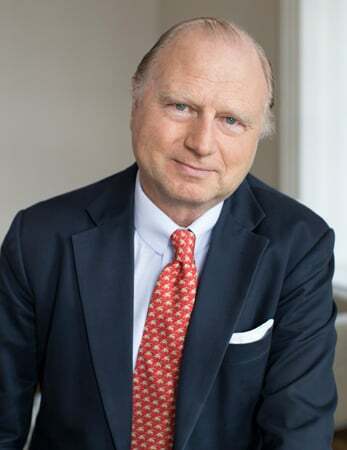 He is initiator and member of the board of trustees of the “Stiftung Initiative Mehrweg” (Foundation for Returnables) and member of the board of Europe’s 500, the European Association for Growth Entrepreneurs, as well as Chairman of the Bavarian section of the Family Entrepreneurs, founder of the Munich Europe Conference and founder of the Desert Food Foundation. Der Erbschaftsteuer-Gesetzentwurf von Schäuble hat noch große Fehler: Er bewertet die Familienunternehmen falsch.